We’re bringing milk to school. Our partners promote healthy lifestyles. We want kids to be healthy until the cows come home. Hello and welcome. 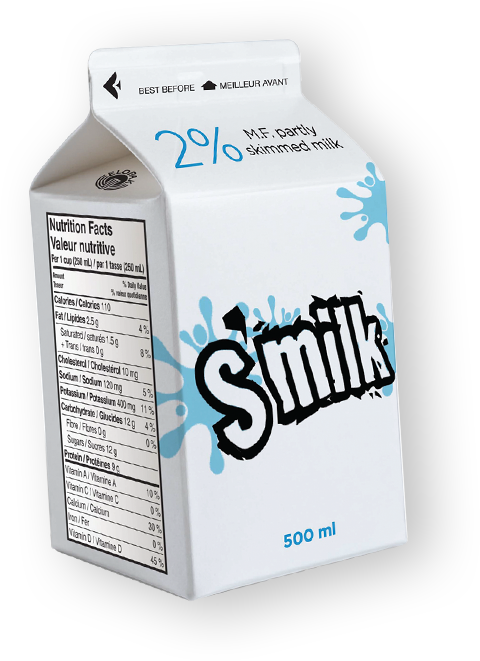 We are the School Milk Foundation of Newfoundland and Labrador. We’re an independent, non-profit organization dedicated to helping school children develop healthy lifestyles and proper eating habits. We make sure milk stays available – and affordable – to the children in Newfoundland and Labrador. What happens to the milk after the cow? The raw milk is carried through pipes to a refrigerated storage tank in another room in the barn. Every second day, the raw milk is piped from the storage tank in the barn to a big, insulated milk truck for its journey to the dairy. When the milk truck arrives at the dairy, the raw milk is piped into another cold storage tank. A sample of milk is taken and it is tested for its milk fat content, flavour, odour and bacterial count.